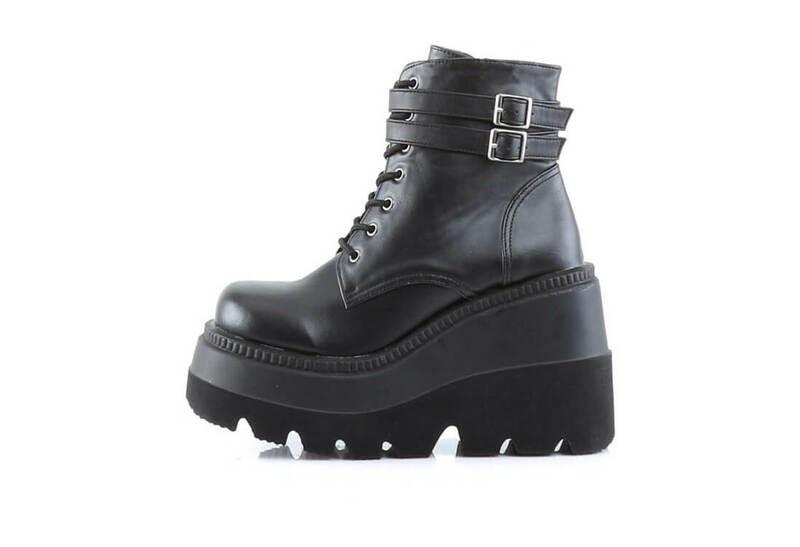 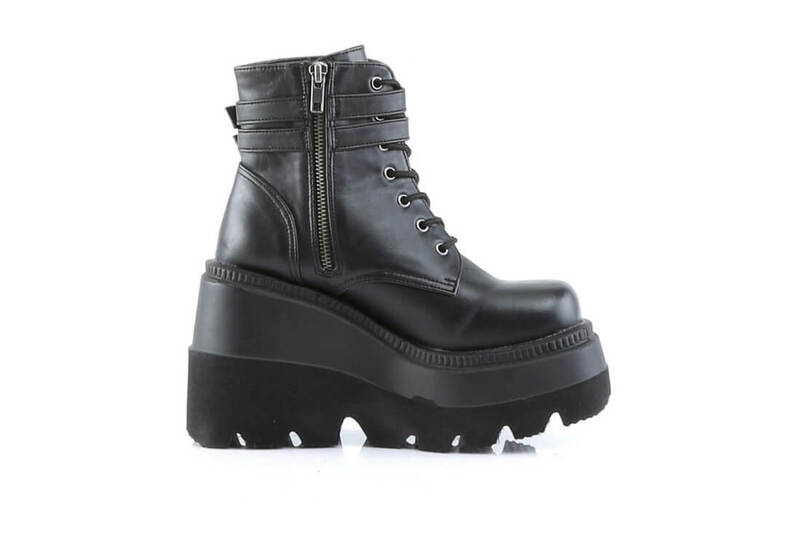 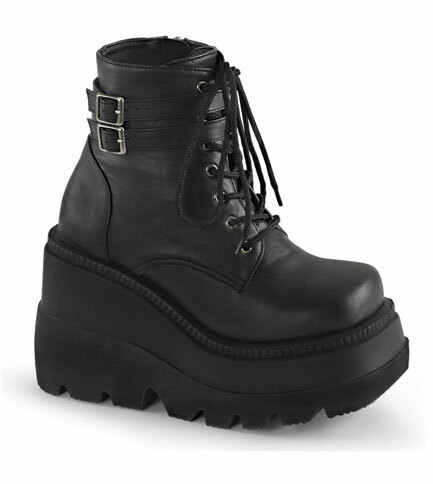 The SHAKER-52 is an ankle high stacked platform wedge boot with a 4 1/2 inch platform. 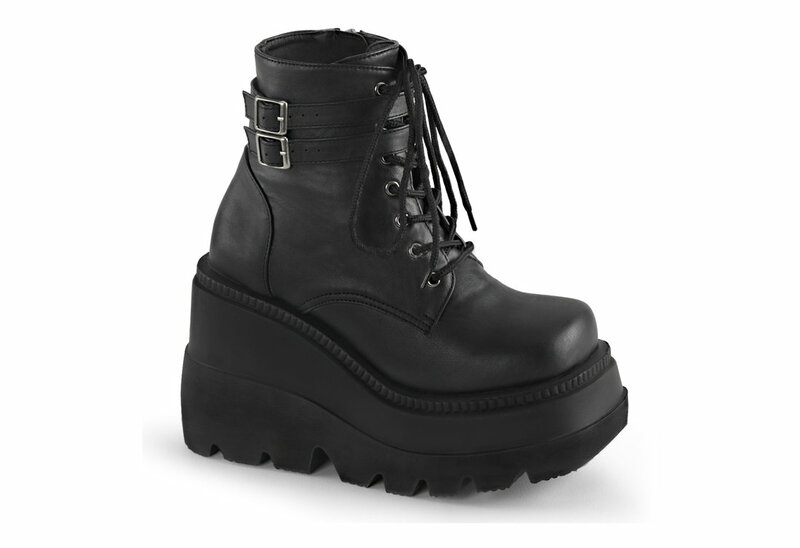 The boot laces up and has two buckle straps on the top. 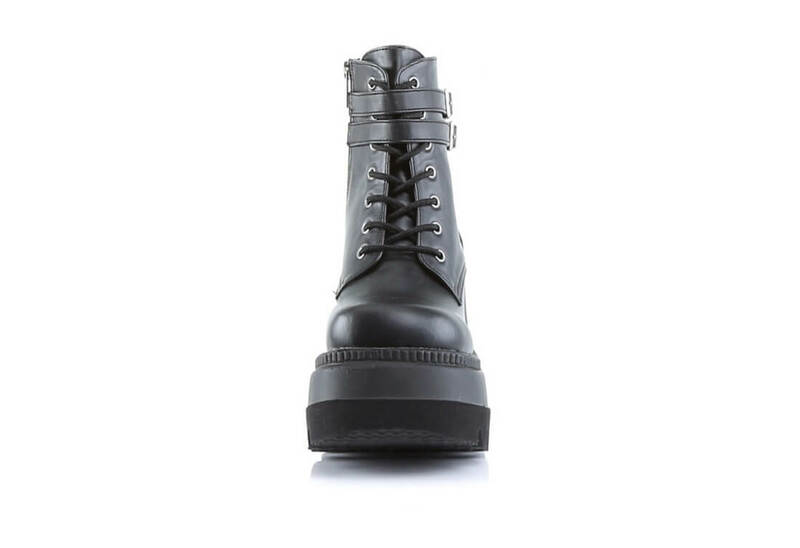 They come with a full inner zipper on the side for easy on and off.